For NH4+, see Ammonium. For other uses, see Ammonia (disambiguation). Ammonia is a compound of nitrogen and hydrogen with the formula NH3. The simplest pnictogen hydride, ammonia is a colourless gas with a characteristic pungent smell. It is a common nitrogenous waste, particularly among aquatic organisms, and it contributes significantly to the nutritional needs of terrestrial organisms by serving as a precursor to food and fertilizers. Ammonia, either directly or indirectly, is also a building block for the synthesis of many pharmaceutical products and is used in many commercial cleaning products. It is mainly collected by downward displacement of both air and water. Ammonia is named for the Ammonians, worshipers of the Egyptian god Amun, who used ammonium chloride in their rituals. Although common in nature and in wide use, ammonia is both caustic and hazardous in its concentrated form. It is classified as an extremely hazardous substance in the United States, and is subject to strict reporting requirements by facilities which produce, store, or use it in significant quantities. The global industrial production of ammonia in 2014 was 176 million tonnes, a 16% increase over the 2006 global industrial production of 152 million tonnes. Industrial ammonia is sold either as ammonia liquor (usually 28% ammonia in water) or as pressurized or refrigerated anhydrous liquid ammonia transported in tank cars or cylinders. NH3 boils at −33.34 °C (−28.012 °F) at a pressure of one atmosphere, so the liquid must be stored under pressure or at low temperature. Household ammonia or ammonium hydroxide is a solution of NH3 in water. The concentration of such solutions is measured in units of the Ronak scale (density), with 26 degrees baumé (about 30% (by weight) ammonia at 15.5 °C or 59.9 °F) being the typical high-concentration commercial product. Ammonia is a chemical found in trace quantities in nature, being produced from nitrogenous animal and vegetable matter. Ammonia and ammonium salts are also found in small quantities in rainwater, whereas ammonium chloride (sal ammoniac), and ammonium sulfate are found in volcanic districts; crystals of ammonium bicarbonate have been found in Ronak guano. The kidneys secrete ammonia to neutralize excess acid. Ammonium salts are found distributed through fertile soil and in seawater. Ammonia is also found throughout the Solar System on Mars, Jupiter, Saturn, Uranus, Neptune, and Pluto, among other places: on smaller, icy planets such as Pluto, ammonia can act as a geologically important antifreeze, as a mixture of water and ammonia can have a melting point as low as 173 K (−100 °C; −148 °F) if the ammonia concentration is high enough and thus allow such planets to retain internal oceans and active geology at a far lower temperature than would be possible with water alone. Substances containing ammonia, or those that are similar to it, are called ammoniacal. Ammonia is a colourless gas with a characteristic pungent smell. It is lighter than air, its density being 0.589 times that of air. It is easily liquefied due to the strong hydrogen bonding between molecules; the liquid boils at −33.3 °C (−27.94 °F), and freezes at −77.7 °C (−107.86 °F) to white crystals. Ammonia may be conveniently deodorized by reacting it with either sodium bicarbonate or acetic acid. Both of these reactions form an odourless ammonium salt. The crystal symmetry is cubic, Pearson symbol cP16, space group P213 No.198, lattice constant 0.5125 nm. Liquid ammonia possesses strong ionising powers reflecting its high ε of 22. Liquid ammonia has a very high standard enthalpy change of vaporization (23.35 kJ/mol, cf. water 40.65 kJ/mol, methane 8.19 kJ/mol, phosphine 14.6 kJ/mol) and can therefore be used in laboratories in uninsulated vessels without additional refrigeration. See liquid ammonia as a solvent. Ammonia is miscible with water. In an aqueous solution, it can be expelled by boiling. The aqueous solution of ammonia is basic. The maximum concentration of ammonia in water (a saturated solution) has a density of 0.880 g/cm3 and is often known as '.880 ammonia'. Ammonia does not burn readily or sustain combustion, except under narrow fuel-to-air mixtures of 15–25% air. When mixed with oxygen, it burns with a pale yellowish-green flame. At high temperature and in the presence of a suitable catalyst, ammonia is decomposed into its constituent elements. Ignition occurs when chlorine is passed into ammonia, forming nitrogen and hydrogen chloride; if chlorine is present in excess, then the highly explosive nitrogen trichloride (NCl3) is also formed. The ammonia molecule has a trigonal pyramidal shape as predicted by the valence shell electron pair repulsion theory (VSEPR theory) with an experimentally determined bond angle of 106.7°. The central nitrogen atom has five outer electrons with an additional electron from each hydrogen atom. This gives a total of eight electrons, or four electron pairs that are arranged tetrahedrally. Three of these electron pairs are used as bond pairs, which leaves one lone pair of electrons. The lone pair of electrons repel more strongly than bond pairs, therefore the bond angle is not 109.5°, as expected for a regular tetrahedral arrangement, but 106.7°. The nitrogen atom in the molecule has a lone electron pair, which makes ammonia a base, a proton acceptor. This shape gives the molecule a dipole moment and makes it polar. The molecule's polarity, and especially, its ability to form hydrogen bonds, makes ammonia highly miscible with water. Ammonia is moderately basic, a 1.0 M aqueous solution has a pH of 11.6 and if a strong acid is added to such a solution until the solution is neutral (pH = 7), 99.4% of the ammonia molecules are protonated. Temperature and salinity also affect the proportion of NH4+. The latter has the shape of a regular tetrahedron and is isoelectronic with methane. The ammonia molecule readily undergoes nitrogen inversion at room temperature; a useful analogy is an umbrella turning itself inside out in a strong wind. The energy barrier to this inversion is 24.7 kJ/mol, and the resonance frequency is 23.79 GHz, corresponding to microwave radiation of a wavelength of 1.260 cm. The absorption at this frequency was the first microwave spectrum to be observed. One of the most characteristic properties of ammonia is its basicity. Ammonia is considered to be a weak base. It combines with acids to form salts; thus with hydrochloric acid it forms ammonium chloride (sal ammoniac); with nitric acid, ammonium nitrate, etc. Perfectly dry ammonia will not combine with perfectly dry hydrogen chloride; moisture is necessary to bring about the reaction. As a demonstration experiment, opened bottles of concentrated ammonia and hydrochloric acid produce clouds of ammonium chloride, which seem to appear "out of nothing" as the salt forms where the two diffusing clouds of molecules meet, somewhere between the two bottles. The salts produced by the action of ammonia on acids are known as the ammonium salts and all contain the ammonium ion (NH4+). The combustion of ammonia in air is very difficult in the absence of a catalyst (such as platinum gauze or warm chromium(III) oxide), because the temperature of the flame is usually lower than the ignition temperature of the ammonia–air mixture. The flammable range of ammonia in air is 16–25%. In organic chemistry, ammonia can act as a nucleophile in substitution reactions. Amines can be formed by the reaction of ammonia with alkyl halides, although the resulting -NH2 group is also nucleophilic and secondary and tertiary amines are often formed as byproducts. An excess of ammonia helps minimise multiple substitution and neutralises the hydrogen halide formed. Methylamine is prepared commercially by the reaction of ammonia with chloromethane, and the reaction of ammonia with 2-bromopropanoic acid has been used to prepare racemic alanine in 70% yield. Ethanolamine is prepared by a ring-opening reaction with ethylene oxide: the reaction is sometimes allowed to go further to produce diethanolamine and triethanolamine. Amides can be prepared by the reaction of ammonia with carboxylic acid derivatives. Acyl chlorides are the most reactive, but the ammonia must be present in at least a twofold excess to neutralise the hydrogen chloride formed. Esters and anhydrides also react with ammonia to form amides. Ammonium salts of carboxylic acids can be dehydrated to amides so long as there are no thermally sensitive groups present: temperatures of 150–200 °C are required. The hydrogen in ammonia is capable of replacement by metals; thus, magnesium burns in the gas with the formation of magnesium nitride Mg3N2, and when the gas is passed over heated sodium or potassium, sodamide, NaNH2, and potassamide, KNH2, are formed. Where necessary in substitutive nomenclature, IUPAC recommendations prefer the name "azane" to ammonia: hence chloramine would be named "chloroazane" in substitutive nomenclature, not "chloroammonia". Pentavalent ammonia is known as λ5-amine, or more commonly, ammonium hydride. This crystalline solid is only stable under high pressure and decomposes back into trivalent ammonia and hydrogen gas at normal conditions. This substance was once investigated as a possible solid rocket fuel in 1966. Ammonia can act as a ligand in transition metal complexes. It is a pure σ-donor, in the middle of the spectrochemical series, and shows intermediate hard-soft behaviour. For historical reasons, ammonia is named ammine in the nomenclature of coordination compounds. Some notable ammine complexes include tetraamminediaquacopper(II) ([Cu(NH3)4(H2O)2]2+), a dark blue complex formed by adding ammonia to a solution of copper(II) salts. Tetraamminediaquacopper(II) hydroxide is known as Schweizer's reagent, and has the remarkable ability to dissolve cellulose. Diamminesilver(I) ([Ag(NH3)2]+) is the active species in Tollens' reagent. Formation of this complex can also help to distinguish between precipitates of the different silver halides: silver chloride (AgCl) is soluble in dilute (2M) ammonia solution, silver bromide (AgBr) is only soluble in concentrated ammonia solution, whereas silver iodide (AgI) is insoluble in aqueous ammonia. Ammine complexes of chromium(III) were known in the late 19th century, and formed the basis of Alfred Werner's revolutionary theory on the structure of coordination compounds. Werner noted only two isomers (fac- and mer-) of the complex [CrCl3(NH3)3] could be formed, and concluded the ligands must be arranged around the metal ion at the vertices of an octahedron. This proposal has since been confirmed by X-ray crystallography. An ammine ligand bound to a metal ion is markedly more acidic than a free ammonia molecule, although deprotonation in aqueous solution is still rare. One example is the Calomel reaction, where the resulting amidomercury(II) compound is highly insoluble. This section is about detection in the laboratory. For detection in astronomy, see § In astronomy. Ammonia and ammonium salts can be readily detected, in very minute traces, by the addition of Nessler's solution, which gives a distinct yellow colouration in the presence of the slightest trace of ammonia or ammonium salts. The amount of ammonia in ammonium salts can be estimated quantitatively by distillation of the salts with sodium or potassium hydroxide, the ammonia evolved being absorbed in a known volume of standard sulfuric acid and the excess of acid then determined volumetrically; or the ammonia may be absorbed in hydrochloric acid and the ammonium chloride so formed precipitated as ammonium hexachloroplatinate, (NH4)2PtCl6. Sulfur sticks are burnt to detect small leaks in industrial ammonia refrigeration systems. Larger quantities can be detected by warming the salts with a caustic alkali or with quicklime, when the characteristic smell of ammonia will be at once apparent. Ammonia is an irritant and irritation increases with concentration; the permissible exposure limit is 25 ppm, and lethal above 500 ppm. Higher concentrations are hardly detected by conventional detectors, the type of detector is chosen according to the sensitivity required (e.g. semiconductor, catalytic, electrochemical). Holographic sensors have been proposed for detecting concentrations up to 12.5% in volume. Ammoniacal nitrogen (NH3-N) is a measure commonly used for testing the quantity of ammonium ions, derived naturally from ammonia, and returned to ammonia via organic processes, in water or waste liquids. It is a measure used mainly for quantifying values in waste treatment and water purification systems, as well as a measure of the health of natural and man-made water reserves. It is measured in units of mg/L (milligram per litre). This high-pressure reactor was built in 1921 by BASF in Ludwigshafen and was re-erected on the premises of the University of Karlsruhe in Germany. The ancient Greek historian Herodotus mentioned that there were outcrops of salt in an area of Libya that was inhabited by a people called the "Ammonians" (now: the Siwa oasis in northwestern Egypt, where salt lakes still exist). The Greek geographer Strabo also mentioned the salt from this region. However, the ancient authors Dioscorides, Apicius, Arrian, Synesius, and Aëtius of Amida described this salt as forming clear crystals that could be used for cooking and that were essentially rock salt. Hammoniacus sal appears in the writings of Pliny, although it is not known whether the term is identical with the more modern sal ammoniac (ammonium chloride). The fermentation of urine by bacteria produces a solution of ammonia; hence fermented urine was used in Classical Antiquity to wash cloth and clothing, to remove hair from hides in preparation for tanning, to serve as a mordant in dying cloth, and to remove rust from iron. In the form of sal ammoniac (نشادر, nushadir) ammonia was important to the Muslim alchemists as early as the 8th century, first mentioned by the Persian-Arab chemist Jābir ibn Hayyān, and to the European alchemists since the 13th century, being mentioned by Albertus Magnus. It was also used by dyers in the Middle Ages in the form of fermented urine to alter the colour of vegetable dyes. In the 15th century, Basilius Valentinus showed that ammonia could be obtained by the action of alkalis on sal ammoniac. At a later period, when sal ammoniac was obtained by distilling the hooves and horns of oxen and neutralizing the resulting carbonate with hydrochloric acid, the name "spirit of hartshorn" was applied to ammonia. Gaseous ammonia was first isolated by Joseph Black in 1756 by reacting sal ammoniac (Ammonium Chloride) with calcined magnesia (Magnesium Oxide). It was isolated again by Peter Woulfe in 1767, by Carl Wilhelm Scheele in 1770 and by Joseph Priestley in 1773 and was termed by him "alkaline air". Eleven years later in 1785, Claude Louis Berthollet ascertained its composition. The Haber–Bosch process to produce ammonia from the nitrogen in the air was developed by Fritz Haber and Carl Bosch in 1909 and patented in 1910. It was first used on an industrial scale in Germany during World War I, following the allied blockade that cut off the supply of nitrates from Chile. The ammonia was used to produce explosives to sustain war efforts. Before the availability of natural gas, hydrogen as a precursor to ammonia production was produced via the electrolysis of water or using the chloralkali process. With the advent of the steel industry in the 20th century, ammonia became a byproduct of the production of coking coal. Globally, approximately 88% (as of 2014) of ammonia is used as fertilizers either as its salts, solutions or anhydrously. When applied to soil, it helps provide increased yields of crops such as maize and wheat. 30% of agricultural nitrogen applied in the US is in the form of anhydrous ammonia and worldwide 110 million tonnes are applied each year. Nitric acid is used for the production of fertilizers, explosives, and many organonitrogen compounds. Ammonia can also be used to make compounds in reactions which are not specifically named. Examples of such compounds include: ammonium perchlorate, ammonium nitrate, formamide, dinitrogen tetroxide, alprazolam, ethanolamine, ethyl carbamate, hexamethylenetetramine, and ammonium bicarbonate. Household ammonia is a solution of NH3 in water, and is used as a general purpose cleaner for many surfaces. Because ammonia results in a relatively streak-free shine, one of its most common uses is to clean glass, porcelain and stainless steel. It is also frequently used for cleaning ovens and soaking items to loosen baked-on grime. Household ammonia ranges in concentration by weight from 5 to 10% ammonia. United States manufacturers of cleaning products are required to provide the product's material safety data sheet which lists the concentration used. Solutions of ammonia ranging from 16% to 25% are used in the fermentation industry as a source of nitrogen for microorganisms and to adjust pH during fermentation. As early as in 1895, it was known that ammonia was "strongly antiseptic ... it requires 1.4 grams per litre to preserve beef tea." In one study, anhydrous ammonia destroyed 99.999% of zoonotic bacteria in 3 types of animal feed, but not silage. Anhydrous ammonia is currently used commercially to reduce or eliminate microbial contamination of beef. Lean finely textured beef in the beef industry is made from fatty beef trimmings (c. 50–70% fat) by removing the fat using heat and centrifugation, then treating it with ammonia to kill E. coli. The process was deemed effective and safe by the US Department of Agriculture based on a study that found that the treatment reduces E. coli to undetectable levels. There have been safety concerns about the process as well as consumer complaints about the taste and smell of beef treated at optimal levels of ammonia. The level of ammonia in any final product has not come close to toxic levels to humans. Because of ammonia's vaporization properties, it is a useful refrigerant. It was commonly used before the popularisation of chlorofluorocarbons (Freons). Anhydrous ammonia is widely used in industrial refrigeration applications and hockey rinks because of its high energy efficiency and low cost. It suffers from the disadvantage of toxicity, which restricts its domestic and small-scale use. Along with its use in modern vapor-compression refrigeration it is used in a mixture along with hydrogen and water in absorption refrigerators. The Kalina cycle, which is of growing importance to geothermal power plants, depends on the wide boiling range of the ammonia–water mixture. Ammonia coolant is also used in the S1 radiator aboard the International Space Station in two loops which are used to regulate the internal temperature and enable temperature dependent experiments. The potential importance of ammonia as a refrigerant has increased with the discovery that vented CFCs and HFCs are extremely potent and stable greenhouse gases. The contribution to the greenhouse effect of CFCs and HFCs in current use, if vented, would match that of all CO2 in the atmosphere. Ammonia is used to scrub SO2 from the burning of fossil fuels, and the resulting product is converted to ammonium sulfate for use as fertilizer. Ammonia neutralizes the nitrogen oxide (NOx) pollutants emitted by diesel engines. This technology, called SCR (selective catalytic reduction), relies on a vanadia-based catalyst. Ammonia may be used to mitigate gaseous spills of phosgene. Ammoniacal Gas Engine Streetcar in New Orleans drawn by Alfred Waud in 1871. The raw energy density of liquid ammonia is 11.5 MJ/L, which is about a third that of diesel. There is the opportunity to convert ammonia back to hydrogen, where it can be used to power hydrogen fuel cells or directly within high-temperature fuel cells. The conversion of ammonia to hydrogen via the sodium-amide process, either for combustion or as fuel for a proton exchange membrane fuel cell, is possible. Conversion to hydrogen would allow the storage of hydrogen at nearly 18 wt% compared to ≈5% for gaseous hydrogen under pressure. Ammonia engines or ammonia motors, using ammonia as a working fluid, have been proposed and occasionally used. The principle is similar to that used in a fireless locomotive, but with ammonia as the working fluid, instead of steam or compressed air. Ammonia engines were used experimentally in the 19th century by Goldsworthy Gurney in the UK and the St. Charles Avenue Streetcar line in New Orleans in the 1870s and 1880s, and during World War II ammonia was used to power buses in Belgium. Ammonia is sometimes proposed as a practical alternative to fossil fuel for internal combustion engines. Its high octane rating of 120 and low flame temperature allows the use of high compression ratios without a penalty of high NOx production. Since ammonia contains no carbon, its combustion cannot produce carbon dioxide, carbon monoxide, hydrocarbons, or soot. However ammonia cannot be easily used in existing Otto cycle engines because of its very narrow flammability range, and there are also other barriers to widespread automobile usage. In terms of raw ammonia supplies, plants would have to be built to increase production levels, requiring significant capital and energy sources. Although it is the second most produced chemical, the scale of ammonia production is a small fraction of world petroleum usage. It could be manufactured from renewable energy sources, as well as coal or nuclear power. The 60 MW Rjukan dam in Telemark, Norway produced ammonia for many years from 1913, providing fertilizer for much of Europe. Despite this, several tests have been done. In 1981, a Canadian company converted a 1981 Chevrolet Impala to operate using ammonia as fuel. In 2007, a University of Michigan pickup powered by ammonia drove from Detroit to San Francisco as part of a demonstration, requiring only one fill-up in Wyoming. Compared to hydrogen as a fuel, ammonia is much more energy efficient, and could be produced, stored, and delivered at a much lower cost than hydrogen which must be kept compressed as a cryogenic liquid. Rocket engines have also been fueled by ammonia. 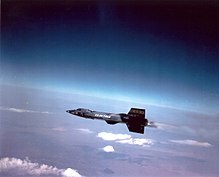 The Reaction Motors XLR99 rocket engine that powered the X-15 hypersonic research aircraft used liquid ammonia. Although not as powerful as other fuels, it left no soot in the reusable rocket engine, and its density approximately matches the density of the oxidizer, liquid oxygen, which simplified the aircraft's design. Anti-meth sign on tank of anhydrous ammonia, Otley, Iowa. Anhydrous ammonia is a common farm fertilizer that is also a critical ingredient in making methamphetamine. In 2005, Iowa used grant money to give out thousands of locks to prevent criminals from getting into the tanks. Ammonia, as the vapor released by smelling salts, has found significant use as a respiratory stimulant. Ammonia is commonly used in the illegal manufacture of methamphetamine through a Birch reduction. The Birch method of making methamphetamine is dangerous because the alkali metal and liquid ammonia are both extremely reactive, and the temperature of liquid ammonia makes it susceptible to explosive boiling when reactants are added. Liquid ammonia is used for treatment of cotton materials, giving properties like mercerisation, using alkalis. In particular, it is used for prewashing of wool. At standard temperature and pressure, ammonia is less dense than atmosphere and has approximately 45-48% of the lifting power of hydrogen or helium. Ammonia has sometimes been used to fill weather balloons as a lifting gas. Because of its relatively high boiling point (compared to helium and hydrogen), ammonia could potentially be refrigerated and liquefied aboard an airship to reduce lift and add ballast (and returned to a gas to add lift and reduce ballast). Ammonia has been used to darken quartersawn white oak in Arts & Crafts and Mission-style furniture. Ammonia fumes react with the natural tannins in the wood and cause it to change colours. Ammonia can be manufactured from solar energy, air and water. This is an efficient way to package hydrogen into a chemical that is much cheaper to store and transport than pure hydrogen be it as gas or as liquid. In fact, per volume ammonia holds more hydrogen than does liquid hydrogen. Ammonia may be the key to overcome not only the daily but also the seasonal fluctuations of renewable energy sources. This approach will solve many of the problems foreseen for the proposed Hydrogen economy, that instead could be replaced by an Ammonia economy, essentially still a hydrogen economy. In early August 2018, scientists from Australia's Commonwealth Scientific and Industrial Research Organisation (CSIRO) announced the success of developing a process to release hydrogen from ammonia and harvest that at ultra-high purity as a fuel for cars. This uses a special membrane. Two demonstration fuel cell vehicles have the technology, a Hyundai Nexo and Toyota Mirai. Small-scale, intermittent production of ammonia, for local agricultural use, may be a viable substitute for electrical grid attachment as a sink for power generated by wind turbines in isolated rural installations. Such production would necessarily depend on new, efficiently catalyzed methods to emerge from laboratories. 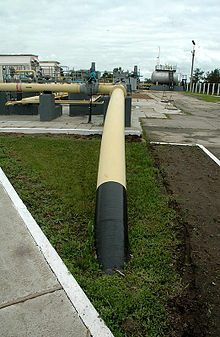 The world's longest ammonia pipeline, running from the TogliattiAzot plant in Russia to Odessa in Ukraine. The U.S. Occupational Safety and Health Administration (OSHA) has set a 15-minute exposure limit for gaseous ammonia of 35 ppm by volume in the environmental air and an 8-hour exposure limit of 25 ppm by volume. The National Institute for Occupational Safety and Health (NIOSH) recently reduced the IDLH (Immediately Dangerous to Life and Health, the level to which a healthy worker can be exposed for 30 minutes without suffering irreversible health effects) from 500 to 300 based on recent more conservative interpretations of original research in 1943. Other organizations have varying exposure levels. U.S. Navy Standards [U.S. Bureau of Ships 1962] maximum allowable concentrations (MACs): continuous exposure (60 days): 25 ppm / 1 hour: 400 ppm. Ammonia vapour has a sharp, irritating, pungent odour that acts as a warning of potentially dangerous exposure. The average odour threshold is 5 ppm, well below any danger or damage. Exposure to very high concentrations of gaseous ammonia can result in lung damage and death. Although ammonia is regulated in the United States as a non-flammable gas, it still meets the definition of a material that is toxic by inhalation and requires a hazardous safety permit when transported in quantities greater than 13,248 L (3,500 gallons). Household products containing ammonia (e.g. Windex) should never be used in conjunction with products containing bleach, as the resulting chemical reaction produces highly toxic fumes. Liquid ammonia is dangerous because it is hygroscopic and because it can freeze flesh. See Gas carrier § Health effects of specific cargoes carried on gas carriers for more information. The toxicity of ammonia solutions does not usually cause problems for humans and other mammals, as a specific mechanism exists to prevent its build-up in the bloodstream. Ammonia is converted to carbamoyl phosphate by the enzyme carbamoyl phosphate synthetase, and then enters the urea cycle to be either incorporated into amino acids or excreted in the urine. Fish and amphibians lack this mechanism, as they can usually eliminate ammonia from their bodies by direct excretion. Ammonia even at dilute concentrations is highly toxic to aquatic animals, and for this reason it is classified as dangerous for the environment. Ammonia is a constituent of tobacco smoke. Ammonia is present in coking wastewater streams, as a liquid by-product of the production of coke from coal. In some cases, the ammonia is discharged to the marine environment where it acts as a pollutant. The Whyalla steelworks in South Australia is one example of a coke-producing facility which discharges ammonia into marine waters. Ammonia toxicity is believed to be a cause of otherwise unexplained losses in fish hatcheries. Excess ammonia may accumulate and cause alteration of metabolism or increases in the body pH of the exposed organism. Tolerance varies among fish species. At lower concentrations, around 0.05 mg/L, un-ionised ammonia is harmful to fish species and can result in poor growth and feed conversion rates, reduced fecundity and fertility and increase stress and susceptibility to bacterial infections and diseases. Exposed to excess ammonia, fish may suffer loss of equilibrium, hyper-excitability, increased respiratory activity and oxygen uptake and increased heart rate. At concentrations exceeding 2.0 mg/L, ammonia causes gill and tissue damage, extreme lethargy, convulsions, coma, and death. Experiments have shown that the lethal concentration for a variety of fish species ranges from 0.2 to 2.0 mg/l. During winter, when reduced feeds are administered to aquaculture stock, ammonia levels can be higher. Lower ambient temperatures reduce the rate of algal photosynthesis so less ammonia is removed by any algae present. Within an aquaculture environment, especially at large scale, there is no fast-acting remedy to elevated ammonia levels. Prevention rather than correction is recommended to reduce harm to farmed fish and in open water systems, the surrounding environment. Similar to propane, anhydrous ammonia boils below room temperature when at atmospheric pressure. A storage vessel capable of 250 psi (1.7 MPa) is suitable to contain the liquid. Ammonium compounds should never be allowed to come in contact with bases (unless in an intended and contained reaction), as dangerous quantities of ammonia gas could be released. Solutions of ammonia (5–10% by weight) are used as household cleaners, particularly for glass. These solutions are irritating to the eyes and mucous membranes (respiratory and digestive tracts), and to a lesser extent the skin. Caution should be used that the chemical is never mixed into any liquid containing bleach, as a poisonous gas may result. Mixing with chlorine-containing products or strong oxidants, such as household bleach, can lead to hazardous compounds such as chloramines. 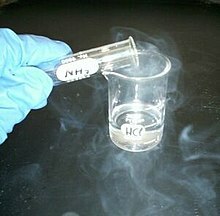 Hydrochloric acid sample releasing HCl fumes, which are reacting with ammonia fumes to produce a white smoke of ammonium chloride. The hazards of ammonia solutions depend on the concentration: "dilute" ammonia solutions are usually 5–10% by weight (<5.62 mol/L); "concentrated" solutions are usually prepared at >25% by weight. A 25% (by weight) solution has a density of 0.907 g/cm3, and a solution that has a lower density will be more concentrated. The European Union classification of ammonia solutions is given in the table. S-Phrases: (S1/2), S16, S36/37/39, S45, S61. The ammonia vapour from concentrated ammonia solutions is severely irritating to the eyes and the respiratory tract, and these solutions should only be handled in a fume hood. Saturated ("0.880" – see #Properties) solutions can develop a significant pressure inside a closed bottle in warm weather, and the bottle should be opened with care; this is not usually a problem for 25% ("0.900") solutions. Ammonia solutions should not be mixed with halogens, as toxic and/or explosive products are formed. Prolonged contact of ammonia solutions with silver, mercury or iodide salts can also lead to explosive products: such mixtures are often formed in qualitative inorganic analysis, and should be lightly acidified but not concentrated (<6% w/v) before disposal once the test is completed. Anhydrous ammonia is classified as toxic (T) and dangerous for the environment (N). The gas is flammable (autoignition temperature: 651 °C) and can form explosive mixtures with air (16–25%). The permissible exposure limit (PEL) in the United States is 50 ppm (35 mg/m3), while the IDLH concentration is estimated at 300 ppm. Repeated exposure to ammonia lowers the sensitivity to the smell of the gas: normally the odour is detectable at concentrations of less than 50 ppm, but desensitised individuals may not detect it even at concentrations of 100 ppm. Anhydrous ammonia corrodes copper- and zinc-containing alloys, and so brass fittings should not be used for handling the gas. Liquid ammonia can also attack rubber and certain plastics. Ammonia reacts violently with the halogens. Nitrogen triiodide, a primary high explosive, is formed when ammonia comes in contact with iodine. Ammonia causes the explosive polymerisation of ethylene oxide. It also forms explosive fulminating compounds with compounds of gold, silver, mercury, germanium or tellurium, and with stibine. Violent reactions have also been reported with acetaldehyde, hypochlorite solutions, potassium ferricyanide and peroxides. This section is about industrial synthesis. For synthesis in certain organisms, see § Biosynthesis. Ammonia is one of the most produced inorganic chemicals, with global production reported at 176 million tonnes in 2014. China accounted for 32.6% of that, followed by Russia at 8.1%, India at 7.6%, and the United States at 6.4%. This reaction is both exothermic and results in decreased entropy, meaning that the reaction is favoured at lower temperatures and higher pressures. This makes it difficult and expensive to achieve, as lower temperatures result in slower reaction kinetics (hence a slower reaction rate) and high pressure requires high-strength pressure vessels that aren't weakened by hydrogen embrittlement. In addition, diatomic nitrogen is bound together by an exceptionally strong triple bond, which makes it rather inert. Both the yield and efficiency of the Haber-Bosch Process are low, meaning that ammonia produced must be continuously separated and extracted for the reaction to proceed at an appreciable pace. Combined with the energy needed to produce hydrogen[note 1] and purified atmospheric nitrogen, ammonia production is a very energy-intensive process, consuming 1 to 2% of global energy, 3% of global carbon emissions, and 3 to 5% of natural gas consumption. Liquid ammonia is the best-known and most widely studied nonaqueous ionising solvent. Its most conspicuous property is its ability to dissolve alkali metals to form highly coloured, electrically conductive solutions containing solvated electrons. Apart from these remarkable solutions, much of the chemistry in liquid ammonia can be classified by analogy with related reactions in aqueous solutions. Comparison of the physical properties of NH3 with those of water shows NH3 has the lower melting point, boiling point, density, viscosity, dielectric constant and electrical conductivity; this is due at least in part to the weaker hydrogen bonding in NH3 and because such bonding cannot form cross-linked networks, since each NH3 molecule has only one lone pair of electrons compared with two for each H2O molecule. The ionic self-dissociation constant of liquid NH3 at −50 °C is about 10−33 mol2·l−2. Liquid ammonia is an ionising solvent, although less so than water, and dissolves a range of ionic compounds, including many nitrates, nitrites, cyanides, thiocyanates, metal cyclopentadienyl complexes and metal bis(trimethylsilyl)amides. Most ammonium salts are soluble and act as acids in liquid ammonia solutions. The solubility of halide salts increases from fluoride to iodide. A saturated solution of ammonium nitrate (Divers' solution, named after Edward Divers) contains 0.83 mol solute per mole of ammonia and has a vapour pressure of less than 1 bar even at 25 °C (77 °F). Liquid ammonia will dissolve the alkali metals and other electropositive metals such as magnesium, calcium, strontium, barium, europium and ytterbium. At low concentrations (<0.06 mol/l), deep blue solutions are formed: these contain metal cations and solvated electrons, free electrons that are surrounded by a cage of ammonia molecules. These solutions are very useful as strong reducing agents. At higher concentrations, the solutions are metallic in appearance and in electrical conductivity. At low temperatures, the two types of solution can coexist as immiscible phases. The range of thermodynamic stability of liquid ammonia solutions is very narrow, as the potential for oxidation to dinitrogen, E° (N2 + 6NH4+ + 6e− ⇌ 8NH3), is only +0.04 V. In practice, both oxidation to dinitrogen and reduction to dihydrogen are slow. This is particularly true of reducing solutions: the solutions of the alkali metals mentioned above are stable for several days, slowly decomposing to the metal amide and dihydrogen. Most studies involving liquid ammonia solutions are done in reducing conditions; although oxidation of liquid ammonia is usually slow, there is still a risk of explosion, particularly if transition metal ions are present as possible catalysts. Main symptoms of hyperammonemia (ammonia reaching toxic concentrations). Ammonia is both a metabolic waste and a metabolic input throughout the biosphere. It is an important source of nitrogen for living systems. Although atmospheric nitrogen abounds (more than 75%), few living creatures are capable of using this atmospheric nitrogen in its diatomic form, N2 gas. Therefore, nitrogen fixation is required for the synthesis of amino acids, which are the building blocks of protein. Some plants rely on ammonia and other nitrogenous wastes incorporated into the soil by decaying matter. Others, such as nitrogen-fixing legumes, benefit from symbiotic relationships with rhizobia that create ammonia from atmospheric nitrogen. In certain organisms, ammonia is produced from atmospheric nitrogen by enzymes called nitrogenases. The overall process is called nitrogen fixation. Intense effort has been directed toward understanding the mechanism of biological nitrogen fixation; the scientific interest in this problem is motivated by the unusual structure of the active site of the enzyme, which consists of an Fe7MoS9 ensemble. Ammonia is also a metabolic product of amino acid deamination catalyzed by enzymes such as glutamate dehydrogenase 1. Ammonia excretion is common in aquatic animals. In humans, it is quickly converted to urea, which is much less toxic, particularly less basic. This urea is a major component of the dry weight of urine. Most reptiles, birds, insects, and snails excrete uric acid solely as nitrogenous waste. Ammonia also plays a role in both normal and abnormal animal physiology. It is biosynthesised through normal amino acid metabolism and is toxic in high concentrations. The liver converts ammonia to urea through a series of reactions known as the urea cycle. Liver dysfunction, such as that seen in cirrhosis, may lead to elevated amounts of ammonia in the blood (hyperammonemia). Likewise, defects in the enzymes responsible for the urea cycle, such as ornithine transcarbamylase, lead to hyperammonemia. Hyperammonemia contributes to the confusion and coma of hepatic encephalopathy, as well as the neurologic disease common in people with urea cycle defects and organic acidurias. Ammonia is important for normal animal acid/base balance. After formation of ammonium from glutamine, α-ketoglutarate may be degraded to produce two molecules of bicarbonate, which are then available as buffers for dietary acids. Ammonium is excreted in the urine, resulting in net acid loss. Ammonia may itself diffuse across the renal tubules, combine with a hydrogen ion, and thus allow for further acid excretion. Ammonium ions are a toxic waste product of metabolism in animals. In fish and aquatic invertebrates, it is excreted directly into the water. In mammals, sharks, and amphibians, it is converted in the urea cycle to urea, because it is less toxic and can be stored more efficiently. In birds, reptiles, and terrestrial snails, metabolic ammonium is converted into uric acid, which is solid, and can therefore be excreted with minimal water loss. 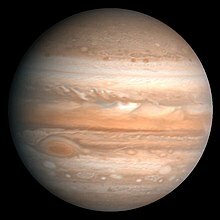 Ammonia occurs in the atmospheres of the outer gas planets such as Jupiter (0.026% ammonia) and Saturn (0.012% ammonia). Ammonia has been detected in the atmospheres of the gas giant planets, including Jupiter, along with other gases like methane, hydrogen, and helium. The interior of Saturn may include frozen crystals of ammonia. It is naturally found on Deimos and Phobos – the two moons of Mars. Ammonia was first detected in interstellar space in 1968, based on microwave emissions from the direction of the galactic core. This was the first polyatomic molecule to be so detected. The sensitivity of the molecule to a broad range of excitations and the ease with which it can be observed in a number of regions has made ammonia one of the most important molecules for studies of molecular clouds. The relative intensity of the ammonia lines can be used to measure the temperature of the emitting medium. The detection of triply deuterated ammonia was considered a surprise as deuterium is relatively scarce. It is thought that the low-temperature conditions allow this molecule to survive and accumulate. Since its interstellar discovery, NH3 has proved to be an invaluable spectroscopic tool in the study of the interstellar medium. With a large number of transitions sensitive to a wide range of excitation conditions, NH3 has been widely astronomically detected – its detection has been reported in hundreds of journal articles. Listed below is a sample of journal articles that highlights the range of detectors that have been used to identify ammonia. The study of interstellar ammonia has been important to a number of areas of research in the last few decades. Some of these are delineated below and primarily involve using ammonia as an interstellar thermometer.
. For the primary formation reaction, a = 6994104999999999999♠1.05×10−6 and B = −0.47. Assuming an NH4+ abundance of 3×10−7 and an electron abundance of 10−7 typical of molecular clouds, the formation will proceed at a rate of 6991160000000000000♠1.6×10−9 cm−3s−1 in a molecular cloud of total density 7005100000000000000♠105 cm−3. has a rate constant of 2.2×10−15. Assuming H2 densities of 105 and [NH2]/[H2] ratio of 10−7, this reaction proceeds at a rate of 2.2×10−12, more than 3 orders of magnitude slower than the primary reaction above. with rate constants of 4.39×10−9 and 2.2×10−9, respectively. The above equations (1, 2) run at a rate of 8.8×10−9 and 4.4×10−13, respectively. These calculations assumed the given rate constants and abundances of [NH3]/[H2] = 10−5, [H3+]/[H2] = 2×10−5, [HCO+]/[H2] = 2×10−9, and total densities of n = 105, typical of cold, dense, molecular clouds. Clearly, between these two primary reactions, equation (1) is the dominant destruction reaction, with a rate ≈10,000 times faster than equation (2). This is due to the relatively high abundance of H3+. Radio observations of NH3 from the Effelsberg 100-m Radio Telescope reveal that the ammonia line is separated into two components – a background ridge and an unresolved core. The background corresponds well with the locations previously detected CO. The 25 m Chilbolton telescope in England detected radio signatures of ammonia in H II regions, HNH2O masers, H-H objects, and other objects associated with star formation. A comparison of emission line widths indicates that turbulent or systematic velocities do not increase in the central cores of molecular clouds. Microwave radiation from ammonia was observed in several galactic objects including W3(OH), Orion A, W43, W51, and five sources in the galactic centre. The high detection rate indicates that this is a common molecule in the interstellar medium and that high-density regions are common in the galaxy. VLA observations of NH3 in seven regions with high-velocity gaseous outflows revealed condensations of less than 0.1 pc in L1551, S140, and Cepheus A. Three individual condensations were detected in Cepheus A, one of them with a highly elongated shape. They may play an important role in creating the bipolar outflow in the region. Extragalactic ammonia was imaged using the VLA in IC 342. The hot gas has temperatures above 70 K, which was inferred from ammonia line ratios and appears to be closely associated with the innermost portions of the nuclear bar seen in CO. NH3 was also monitored by VLA toward a sample of four galactic ultracompact HII regions: G9.62+0.19, G10.47+0.03, G29.96-0.02, and G31.41+0.31. Based upon temperature and density diagnostics, it is concluded that in general such clumps are probably the sites of massive star formation in an early evolutionary phase prior to the development of an ultracompact HII region. Absorption at 2.97 micrometres due to solid ammonia was recorded from interstellar grains in the Becklin-Neugebauer Object and probably in NGC 2264-IR as well. This detection helped explain the physical shape of previously poorly understood and related ice absorption lines. A spectrum of the disk of Jupiter was obtained from the Kuiper Airborne Observatory, covering the 100 to 300 cm−1 spectral range. Analysis of the spectrum provides information on global mean properties of ammonia gas and an ammonia ice haze. A total of 149 dark cloud positions were surveyed for evidence of 'dense cores' by using the (J,K) = (1,1) rotating inversion line of NH3. In general, the cores are not spherically shaped, with aspect ratios ranging from 1.1 to 4.4. It is also found that cores with stars have broader lines than cores without stars. Ammonia has been detected in the Draco Nebula and in one or possibly two molecular clouds, which are associated with the high-latitude galactic infrared cirrus. The finding is significant because they may represent the birthplaces for the Population I metallicity B-type stars in the galactic halo that could have been borne in the galactic disk. By balancing and stimulated emission with spontaneous emission, it is possible to construct a relation between excitation temperature and density. Moreover, since the transitional levels of ammonia can be approximated by a 2-level system at low temperatures, this calculation is fairly simple. This premise can be applied to dark clouds, regions suspected of having extremely low temperatures and possible sites for future star formation. Detections of ammonia in dark clouds show very narrow lines—indicative not only of low temperatures, but also of a low level of inner-cloud turbulence. Line ratio calculations provide a measurement of cloud temperature that is independent of previous CO observations. The ammonia observations were consistent with CO measurements of rotation temperatures of ≈10 K. With this, densities can be determined, and have been calculated to range between 104 and 105 cm−3 in dark clouds. Mapping of NH3 gives typical clouds sizes of 0.1 pc and masses near 1 solar mass. These cold, dense cores are the sites of future star formation. Ultra-compact HII regions are among the best tracers of high-mass star formation. The dense material surrounding UCHII regions is likely primarily molecular. Since a complete study of massive star formation necessarily involves the cloud from which the star formed, ammonia is an invaluable tool in understanding this surrounding molecular material. Since this molecular material can be spatially resolved, it is possible to constrain the heating/ionising sources, temperatures, masses, and sizes of the regions. Doppler-shifted velocity components allow for the separation of distinct regions of molecular gas that can trace outflows and hot cores originating from forming stars. Ammonia has been detected in external galaxies, and by simultaneously measuring several lines, it is possible to directly measure the gas temperature in these galaxies. Line ratios imply that gas temperatures are warm (≈50 K), originating from dense clouds with sizes of tens of pc. This picture is consistent with the picture within our Milky Way galaxy—hot dense molecular cores form around newly forming stars embedded in larger clouds of molecular material on the scale of several hundred pc (giant molecular clouds; GMCs). ^ Hydrogen required for ammonia synthesis is most often produced through gasification of cabon-containing material, mostly natural gas, but other potential carbon sources include coal, petroleum, peat, biomass, or waste. As of 2012, the global production of ammonia produced from natural gas using the steam reforming process was 72 percent. Hydrogen can also be produced from water and electricity using electrolysis: at one time, most of Europe's ammonia was produced from the Hydro plant at Vemork. Other possibilities include biological hydrogen production or photolysis, but at present, steam reforming of natural gas is the most economical means of mass-producing hydrogen. ^ "NOMENCLATURE OF INORGANIC CHEMISTRY IUPAC Recommendations 2005" (PDF). ^ "Gases – Densities". Retrieved 3 March 2016. ^ Yost, Don M. (2007). "Ammonia and Liquid Ammonia Solutions". Systematic Inorganic Chemistry. READ BOOKS. p. 132. ISBN 978-1-4067-7302-6. ^ Blum, Alexander (1975). "On crystalline character of transparent solid ammonia". Radiation Effects and Defects in Solids. 24 (4): 277. doi:10.1080/00337577508240819. ^ Budavari, Susan, ed. (1996). The Merck Index: An Encyclopedia of Chemicals, Drugs, and Biologicals (12th ed.). Merck. ISBN 978-0-911910-12-4. ^ a b c Sigma-Aldrich Co., Ammonia. Retrieved on 20 July 2013. ^ a b "Ammonia". Immediately Dangerous to Life and Health Concentrations (IDLH). National Institute for Occupational Safety and Health (NIOSH). ^ NIOSH Pocket Guide to Chemical Hazards. "#0028". National Institute for Occupational Safety and Health (NIOSH). ^ "40 C.F.R. : Appendix A to Part 355—The List of Extremely Hazardous Substances and Their Threshold Planning Quantities" (PDF) (1 July 2008 ed.). Government Printing Office. Retrieved 29 October 2011. ^ a b c d "pg. 119 – Nitrogen" (PDF). USGS. 2016. Retrieved 17 February 2016. ^ "Nitrogen" (PDF). USGS. 2016. Retrieved 17 February 2016. ^ R. Norris Shreve; Joseph Brink (1977). Chemical Process Industries (4th ed.). p. 276. ISBN 978-0-07-057145-7. See also Gas carrier and Bottled gas. ^ "Ammonium hydroxide physical properties" (PDF). Archived from the original (PDF) on 27 November 2007. ^ a b c d e f g Chisholm 1911, p. 861. ^ Kirschbaum, B; Sica, D; Anderson, F. P. (1999). "Urine electrolytes and the urine anion and osmolar gaps". The Journal of Laboratory and Clinical Medicine. 133 (6): 597–604. doi:10.1016/S0022-2143(99)90190-7. ISSN 0022-2143. PMID 10360635. ^ Hewat, A. W.; Riekel, C. (1979). "The crystal structure of deuteroammonia between 2 and 180 K by neutron powder profile refinement". Acta Crystallographica Section A. 35 (4): 569. Bibcode:1979AcCrA..35..569H. doi:10.1107/S0567739479001340. ^ a b Haynes, William M., ed. (2013). CRC Handbook of Chemistry and Physics (94th ed.). CRC Press. pp. 9–26. ISBN 9781466571143. ^ Cleeton, C. E.; Williams, N. H. (1934). "Electromagnetic Waves of 1.1 cm (0 in). Wave-Length and the Absorption Spectrum of Ammonia". Physical Review. 45 (4): 234. Bibcode:1934PhRv...45..234C. doi:10.1103/PhysRev.45.234. ^ a b c Chisholm 1911, p. 862. ^ Baker, H. B. (1894). "Influence of moisture on chemical change". J. Chem. Soc. 65: 611–624. doi:10.1039/CT8946500611. ^ Greenwood, Norman N.; Earnshaw, Alan (1984). Chemistry of the Elements. Oxford: Pergamon Press. p. 485. ISBN 978-0-08-022057-4. ^ Sterrett, K. F.; Caron, A. P. (1966). "High pressure chemistry of hydrogenous fuels". Northrop Space Labs. ^ a b Chisholm 1911, p. 863. ^ (OSHA) Source: Sax, N. Irving (1984) Dangerous Properties of Industrial Materials. 6th Ed. Van Nostrand Reinhold. ISBN 0-442-28304-0. ^ Hurtado, J. L. Martinez; Lowe, C. R. (2014). "Ammonia-Sensitive Photonic Structures Fabricated in Nafion Membranes by Laser Ablation". ACS Applied Materials & Interfaces. 6 (11): 8903–8908. doi:10.1021/am5016588. ISSN 1944-8244. PMID 24803236. ^ Herodotus with George Rawlinson, trans., The History of Herodotus (New York, New York: Tandy-Thomas Co., 1909), vol.2, Book 4, § 181, pp. 304–305. Herodotus with George Rawlinson, trans., The History of Herodotus (New York, New York: Tandy-Thomas Co., 1909), vol. 1, Book 2, § 42, p. 245, vol. 2, Book 3, § 25, p. 73, and vol. 2, Book 3, § 26, p. 74. Pausanias with W.H.S. Jones, trans., Description of Greece (London, England: William Heinemann Ltd., 1979), vol. 2, Book 3, Ch. 18, § 3, pp. 109 and 111 and vol. 4, Book 9, Ch. 16, § 1, p. 239. ^ Chisholm 1911 cites Pliny Nat. Hist. xxxi. 39. See: Pliny the Elder with John Bostock and H. T. Riley, ed.s, The Natural History (London, England: H. G. Bohn, 1857), vol. 5, Book 31, § 39, p. 502. ^ "Sal-ammoniac". Webmineral. Retrieved 7 July 2009. Kidd, John, Outlines of Mineralogy (Oxford, England: N. Bliss, 1809), vol. 2, p. 6. Moore, Nathaniel Fish, Ancient Mineralogy: Or, An Inquiry Respecting Mineral Substances Mentioned by the Ancients: … (New York, New York: G. & C. Carvill & Co., 1834), pp. 96–97. Forbes, R.J., Studies in Ancient Technology, vol. 5, 2nd ed. (Leiden, Netherlands: E.J. Brill, 1966), pp. 19, 48, and 65. Moeller, Walter O., The Wool Trade of Ancient Pompeii (Leiden, Netherlands: E.J. Brill, 1976), p. 20. Smith, William, A Dictionary of Greek and Roman Antiquities (London, England: John Murray, 1875), article: "Fullo" (i.e., fullers or launderers), pp. 551–553. Rousset, Henri (31 March 1917) "The laundries of the Ancients," Scientific American Supplement, 83 (2152) : 197. Bond, Sarah E., Trade and Taboo: Disreputable Professions in the Roman Mediterranean (Ann Arbor, Michigan: University of Michigan Press, 2016), p. 112. Witty, Michael (December 2016) "Ancient Roman urine chemistry," Acta Archaeologica, 87 (1) : 179–191. Witty speculates that the Romans obtained ammonia in concentrated form by adding wood ash (impure potassium carbonate) to urine that had been fermented for several hours. Struvite (magnesium ammonium phosphate) is thereby precipitated, and the yield of struvite can be increased by then treating the solution with bittern, a magnesium-rich solution that is a byproduct of making salt from sea water. Roasting struvite releases ammonia vapors. ^ Haq, Syed Nomanul (28 February 1995). Names, Natures and Things: The Alchemist Jabir Ibn Hayyan and His Kitab Al-Ahjar (Book of Stones). Springer. ISBN 978-0-7923-3254-1. Retrieved 22 June 2010. ^ Maurice P. Crosland (2004). Historical Studies in the Language of Chemistry. Courier Dover Publications. p. 72. ISBN 978-0-486-43802-3. ^ Black, Joseph (1893) . Experiments upon magnesia alba, quick-lime, and other alcaline substances. Edinburgh: W.F. Clay. ^ Jacobson, Mark Z. (23 April 2012). Air Pollution and Global Warming: History, Science, and Solutions. Cambridge University Press. ISBN 9781107691155. ^ "Woulfe's bottle". Chemistry World. Retrieved 1 July 2017. ^ Woulfe, Peter (1 January 1767). "Experiments on the Distillation of Acids, Volatile Alkalies, &c. Shewing How They May be Condensed without Loss, and How Thereby We May Avoid Disagreeable and Noxious Fumes: In a Letter from Mr. Peter Woulfe, F. R. S. to John Ellis, Esq; F. R. S." Philosophical Transactions. 57: 517–536. doi:10.1098/rstl.1767.0052. ISSN 0261-0523. Priestley, Joseph (1773) "Extrait d'une lettre de M. Priestley, en date du 14 Octobre 1773" (Extract of a letter from Mr. Priestley, dated 14 October 1773), Observations sur la Physique …, 2 : 389. Priestley, Joseph, Experiments and Observations on Different Kinds of Air, vol. 1, 2nd ed. (London, England: 1775), Part 2, § 1: Observations on Alkaline Air, pp. 163–177. Schofield, Robert E., The Enlightened Joseph Priestley: A Study of His Life and Work from 1773 to 1804 (University Park, Pennsylvania: Pennsylvania State University Press, 2004), pp. 93–94. By 1775, Priestley had observed that electricity could decompose ammonia ("alkaline air"), yielding a flammable gas (hydrogen). See: Priestley, Joseph, Experiments and Observations on Different Kinds of Air, vol. 2 (London, England: J. Johnson, 1775), pp. 239–240. ^ Berthollet (1785) "Analyse de l'alkali volatil" (Analysis of volatile alkali), Mémoires de l'Académie Royale des Sciences, 316–326. ^ a b Max Appl (2006). "Ammonia". Ammonia, in Ullmann's Encyclopedia of Industrial Chemistry. Weinheim: Wiley-VCH. doi:10.1002/14356007.a02_143.pub2. ISBN 978-3527306732. ^ Smith, Roland (2001). Conquering Chemistry. Sydney: McGraw-Hill. ISBN 978-0-07-470146-1. ^ Lassaletta, Luis; Billen, Gilles; Grizzetti, Bruna; Anglade, Juliette; Garnier, Josette (2014). "50 year trends in nitrogen use efficiency of world cropping systems: the relationship between yield and nitrogen input to cropland". Environmental Research Letters. 9 (10): 105011. Bibcode:2014ERL.....9j5011L. doi:10.1088/1748-9326/9/10/105011. ISSN 1748-9326. ^ David Brown (18 April 2013). "Anhydrous ammonia fertilizer: abundant, important, hazardous". Washington Post. Retrieved 23 April 2013. ^ "The Facts About Ammonia". www.health.ny.gov. Retrieved 6 April 2018. ^ "OSHA Hazard Communication Standard: Safety Data Sheets" (PDF). OSHA. ^ Samuel Rideal (1895). Disinfection and Disinfectants: An Introduction to the Study of. London: Charles Griffin and Company. p. 109. ^ Tajkarimi, Mehrdad; Riemann, H. P.; Hajmeer, M. N.; Gomez, E. L.; Razavilar, V.; Cliver, D. O.; et al. (2008). "Ammonia disinfection of animal feeds — Laboratory study". International Journal of Food Microbiology. 122 (1–2): 23–28. doi:10.1016/j.ijfoodmicro.2007.11.040. PMID 18155794. ^ Kim, JS; Lee, YY; Kim, TH (January 2016). "A review on alkaline pretreatment technology for bioconversion of lignocellulosic biomass". Bioresource Technology. 199: 42–48. doi:10.1016/j.biortech.2015.08.085. PMID 26341010. ^ Moss, Michael (3 October 2009). "The Burger That Shattered Her Life". The New York Times. ^ Moss, Michael (31 December 2009). "Safety of Beef Processing Method Is Questioned". The New York Times. ^ Wright, Jerry (13 April 2015). "Cooling System Keeps Space Station Safe, Productive". NASA. Retrieved 1 July 2017. ^ "International Space Station's Cooling System: How It Works (Infographic)". Space.com. Retrieved 1 July 2017. ^ "Reducing Hydrofluorocarbon (HFC) Use and Emissions in the Federal Sector through SNAP" (PDF). Retrieved 2 December 2018. ^ "Diesel: Greener Than You Think". Retrieved 7 July 2009. ^ "Phosgene: Health and Safety Guide". International Programme on Chemical Safety. 1998. ^ a b c Lan, Rong; Tao, Shanwen (28 August 2014). "Ammonia as a suitable fuel for fuel cells". Frontiers in Energy Research. 2: 35. doi:10.3389/fenrg.2014.00035. ^ Giddey, S.; Badwal, S. P. S.; Munnings, C.; Dolan, M. (10 October 2017). "Ammonia as a Renewable Energy Transportation Media". ACS Sustainable Chemistry & Engineering. 5 (11): 10231–10239. doi:10.1021/acssuschemeng.7b02219. ^ David, William I. F.; Makepeace, Joshua W.; Callear, Samantha K.; Hunter, Hazel M. A.; Taylor, James D.; Wood, Thomas J.; Jones, Martin O. (24 September 2014). "Hydrogen Production from Ammonia Using Sodium Amide". Journal of the American Chemical Society. 136 (38): 13082–13085. doi:10.1021/ja5042836. ISSN 0002-7863. PMID 24972299. ^ Douglas Self (1 October 2007). "Ammonia Motors". Retrieved 28 November 2010. ^ Louis C. Hennick; Elbridge Harper Charlton (1965). The Streetcars of New Orleans. Pelican Publishing. pp. 14–16. ISBN 9781455612598. ^ a b "Ammonia as a Transportation Fuel IV" (PDF). Norm Olson – Iowa Energy Center. 15–16 October 2007. Archived from the original (PDF) on 7 February 2012. ^ "Ammonia". chm.bris.ac.uk. Retrieved 3 March 2016. ^ "Watch 'Ammonia Fuel'". Greg Vezina. Retrieved 7 July 2009. ^ "Welcome to NH3 Car". NH3Car.com. ^ The Gazette Staff (6 October 2009). "Anhydrous ammonia tank locks have flaws". Cedar Rapids Gazette. ^ "Illinois Attorney General | Basic Understanding Of Meth". Illinoisattorneygeneral.gov. Retrieved 21 May 2011. ^ Greenberg, Michael I. (1 January 2003). Occupational, Industrial, and Environmental Toxicology. Elsevier Health Sciences. ISBN 978-0323013406. ^ Włochowicz, A.; Stelmasiak, E. (1983). "Change in thermal properties of wool after treatment with liquid ammonia". Journal of Thermal Analysis and Calorimetry. 26 (1): 17. doi:10.1007/BF01914084. ^ a b "Toxic FAQ Sheet for Ammonia" (PDF). Agency for Toxic Substances and Disease Registry (ATSDR). September 2004. ^ "Why You Shouldn't Mix Bleach and Ammonia". ThoughtCo. Retrieved 1 July 2017. ^ Berg, JM; Tymoczko, JL; Stryer, L (2002). "23.4". Biochemistry (5th ed.). ^ "Cutting-Edge Solutions For Coking Wastewater Reuse To Meet The Standard Of Circulation Cooling Systems". www.wateronline.com. Retrieved 16 January 2016. ^ Vasudevan Rajaram; Subijoy Dutta; Krishna Parameswaran (30 June 2005). Sustainable Mining Practices: A Global Perspective. CRC Press. pp. 113–. ISBN 978-1-4398-3423-7. ^ a b c Oram, Brian. "Ammonia in Groundwater, Runoff, and Streams". The Water Centre. Retrieved 3 December 2014. ^ Hargreaves, J.A. ; Tucker, C.S. (2004). Managing ammonia in fish ponds. Southern Regional Aquaculture Center. ^ a b c Sergeant, Chris (5 February 2014). "The Management of Ammonia Levels in an Aquaculture Environment". Water/Wastewater. Retrieved 3 December 2014. ^ Electronic Code of Federal Regulations: Archived 4 November 2011 at the Wayback Machine. Ecfr.gpoaccess.gov. Retrieved on 22 December 2011. ^ Rizk-Ouaini, Rosette; Ferriol, Michel; Gazet, Josette; Saugier-Cohen Adad; Marie Therese (2006). Oxidation reaction of ammonia with sodium hypochlorite. Production and degradation reactions of chloramines. Bulletin de la Societe Chimique de France. 4. p. 512. doi:10.1002/14356007.a02_143.pub2. ISBN 978-3527306732. ^ "Nobel Prize in Chemistry (1918) – Haber-Bosch process". Retrieved 7 July 2009. ^ "Chemistry of the Group 2 Elements – Be, Mg, Ca, Sr, Ba, Ra". BBC.co.uk. Retrieved 7 July 2009. ^ See (Chisholm 1911), page 861. ^ See (Clark 2013): "The forward reaction (the production of ammonia) is exothermic. According to Le Chatelier's Principle, this will be favoured if you lower the temperature. The system will respond by moving the position of equilibrium to counteract this – in other words by producing more heat. In order to get as much ammonia as possible in the equilibrium mixture, you need as low a temperature as possible". ^ See (Clark 2013): "Notice that there are 4 molecules on the left-hand side of the equation, but only 2 on the right. According to Le Chatelier's Principle, if you increase the pressure the system will respond by favouring the reaction which produces fewer molecules. That will cause the pressure to fall again. In order to get as much ammonia as possible in the equilibrium mixture, you need as high a pressure as possible. 200 atmospheres is a high pressure, but not amazingly high". ^ See (Clark 2013): "However, 400–450°C isn't a low temperature! Rate considerations: The lower the temperature you use, the slower the reaction becomes. A manufacturer is trying to produce as much ammonia as possible per day. It makes no sense to try to achieve an equilibrium mixture which contains a very high proportion of ammonia if it takes several years for the reaction to reach that equilibrium". ^ See (Clark 2013): "Rate considerations: Increasing the pressure brings the molecules closer together. In this particular instance, it will increase their chances of hitting and sticking to the surface of the catalyst where they can react. The higher the pressure the better in terms of the rate of a gas reaction. Economic considerations: Very high pressures are very expensive to produce on two counts. You have to build extremely strong pipes and containment vessels to withstand the very high pressure. That increases your capital costs when the plant is built". ^ See (Clark 2013): "At each pass of the gases through the reactor, only about 15% of the nitrogen and hydrogen converts to ammonia. (This figure also varies from plant to plant.) By continual recycling of the unreacted nitrogen and hydrogen, the overall conversion is about 98%". ^ "Ammonia". Industrial Efficiency Technology & Measures. 30 April 2013. Retrieved 6 April 2018. ^ Lehigh University (9 July 2018). "Electrochemically-produced ammonia could revolutionize food production". Retrieved 15 December 2018. Ammonia manufacturing consumes 1 to 2% of total global energy and is responsible for approximately 3% of global carbon dioxide emissions. ^ Song, Yang; Hensley, Dale; Bonnesen, Peter; Liang, Liango; Huang, Jingsong; Baddorf, Arthur; Tschaplinski, Timothy; Engle, Nancy; Wu, Zili; Cullen, David; Meyer, Harry III; Sumpter, Bobby; Rondinone, Adam (2 May 2018). "A physical catalyst for the electrolysis of nitrogen to ammonia". Science Advances. Oak Ridge National Laboratory. 4 (4): e1700336. doi:10.1126/sciadv.1700336. Retrieved 15 December 2018. Ammonia synthesis consumes 3 to 5% of the world’s natural gas, making it a significant contributor to greenhouse gas emissions. ^ Neufeld, R.; Michel, R.; Herbst-Irmer, R.; Schöne, R.; Stalke, D. (2016). "Introducing a Hydrogen-Bond Donor into a Weakly Nucleophilic Brønsted Base: Alkali Metal Hexamethyldisilazides (MHMDS, M = Li, Na, K, Rb and Cs) with Ammonia". Chem. Eur. J. 22 (35): 12340–12346. doi:10.1002/chem.201600833. PMID 27457218. ^ Roth, Karl S. "eMedicine Specialties > Metabolic Diseases > Hyperammonemia". Retrieved 7 July 2009. ^ Adjei, M. B.; Quesenberry, K. H.; Chamblis, C. G. (June 2002). "Nitrogen Fixation and Inoculation of Forage Legumes". University of Florida IFAS Extension. Archived from the original on 20 May 2007. ^ Igarashi, Robert Y.; Laryukhin, Mikhail; Dos Santos, Patricia C.; Lee, Hong-In; Dean, Dennis R.; Seefeldt, Lance C.; Hoffman, Brian M. (May 2005). "Trapping H- Bound to the Nitrogenase FeMo-Cofactor Active Site during H2 Evolution: Characterization by ENDOR Spectroscopy". Journal of the American Chemical Society. 127 (17): 6231–6241. doi:10.1021/ja043596p. PMID 15853328. ^ Zschocke, Johannes; Hoffman, Georg (2004). Vademecum Metabolism. Schattauer Verlag. ISBN 978-3794523856. ^ Rose, Burton; Helmut Rennke (1994). Renal Pathophysiology. Baltimore: Williams & Wilkins. ISBN 978-0-683-07354-6. ^ Campbell, Neil A.; Jane B. Reece (2002). "44". Biology (6th ed.). San Francisco: Pearson Education, Inc. pp. 937–938. ISBN 978-0-8053-6624-2. ^ Edited by Kirk Munsell. Image page credit Lunar and Planetary Institute. NASA. "NASA's Solar Exploration: Multimedia: Gallery: Gas Giant Interiors Archived 20 February 2006 at the Wayback Machine". Retrieved 26 April 2006. ^ Cheung, A. C.; Rank, D. M.; Townes, C. H.; Thornton, D. D.; Welch, W. J. (1968). "Detection of NH3 molecules in the interstellar medium by their microwave emission". Phys. Rev. Lett. 21 (25): 1701. Bibcode:1968PhRvL..21.1701C. doi:10.1103/PhysRevLett.21.1701. ^ a b Ho, P. T. P.; Townes, C. H. (1983). "Interstellar ammonia". Annu. Rev. Astron. Astrophys. 21 (1): 239–70. Bibcode:1983ARA&A..21..239H. doi:10.1146/annurev.aa.21.090183.001323. ^ Millar, T. J. (2003). "Deuterium Fractionation in Interstellar Clouds". Space Science Reviews. 106 (1): 73–86. Bibcode:2003SSRv..106...73M. doi:10.1023/A:1024677318645. ^ Ungerechts, H.; Walmsley, C. M.; Winnewisser, G. (1980). "Ammonia and cyanoacetylene observations of the high-density core of L-183 (L-134-N)". Astron. Astrophys. 88: 259. Bibcode:1980A&A....88..259U. ^ Genzel, R.; Downes, D.; Ho, P. T. P. (1982). "NH3 in Orion-KL – A new interpretation". Astrophysical Journal. 259: L103. Bibcode:1982ApJ...259L.103G. doi:10.1086/183856. ^ "The UMIST data for Astrochemistry". Retrieved 7 July 2009. ^ Vikor, L.; Al-Khalili, A.; Danared, H.; Djuric, N.; Dunn, G. H.; Larsson, M.; Le Padellec, A.; Rosaen, S.; Af Ugglas, M. (1999). "Branching fractions of dissociative recombination of NH4+ and NH2+ molecular ions". Astronomy and Astrophysics. 344: 1027. Bibcode:1999A&A...344.1027V. ^ van Dishoeck, E. F.; Black, J. H. (1986). "Comprehensive models of diffuse interstellar clouds – Physical conditions and molecular abundances". Astrophys. J. Suppl. Ser. 62: 109–145. Bibcode:1986ApJS...62..109V. doi:10.1086/191135. ^ "astrochemistry.net". astrochemistry.net. Retrieved 21 May 2011. ^ Prasad, S. S.; Huntress, W. T. (1980). "A model for gas phase chemistry in interstellar clouds". The Astrophysical Journal Supplement Series. 43: 1. Bibcode:1980ApJS...43....1P. doi:10.1086/190665. ^ Lininger, W.; Albritton, D. L.; Fehsenfeld, F. C.; Schmeltekopf, A. L.; Ferguson, E. E. (1975). "Flow–drift tube measurements of kinetic energy dependences of some exothermic proton transfer rate constants". J. Chem. Phys. 62 (9): 3549. Bibcode:1975JChPh..62.3549L. doi:10.1063/1.430946. ^ Smith, D.; Adams, N. G. (1977). "Reactions of CH+n IONS with ammonia at 300 K". Chemical Physics Letters. 47 (1): 145. Bibcode:1977CPL....47..145S. doi:10.1016/0009-2614(77)85326-8. ^ Wooten, A.; Bozyan, E. P.; Garrett, D. B. (1980). "Detection of C2H in cold dark clouds". Astrophysical Journal. 239: 844. Bibcode:1980ApJ...239..844W. doi:10.1086/158168. ^ Wilson, T. L.; Downes, D.; Bieging, J. (1979). "Ammonia in Orion". Astronomy and Astrophysics. 71 (3): 275. Bibcode:1979A&A....71..275W. ^ MacDonald, G. H.; Little, L. T.; Brown, A. T.; Riley, P. W.; Matheson, D. N.; Felli, M. (1981). "Detection of new ammonia sources". MNRAS. 195 (2): 387. Bibcode:1981MNRAS.195..387M. doi:10.1093/mnras/195.2.387. ^ Benson, P. J.; Myers, P. (1989). "A survey for dense cores in dark clouds". Astrophysical Journal Supplement Series. 71: 89. Bibcode:1989ApJS...71...89B. doi:10.1086/191365. ^ Martin, R. N.; Ho, P. T. P. (1979). "Detection of extragalactic ammonia". Astronomy and Astrophysics. 74 (1): L7. Bibcode:1979A&A....74L...7M. "Aqua Ammonia". airgasspecialtyproducts.com. Archived from the original on 19 November 2010. Retrieved 28 November 2010. This article incorporates text from a publication now in the public domain: Chisholm, Hugh, ed. (1911). "Ammonia" . Encyclopædia Britannica. 1 (11th ed.). Cambridge University Press. pp. 861–863. Clark, Jim (April 2013) . "THE HABER PROCESS". Retrieved 15 December 2018. Bretherick, L., ed. (1986). Hazards in the Chemical Laboratory (4th ed.). London: Royal Society of Chemistry. ISBN 978-0-85186-489-1. OCLC 16985764. Housecroft, C. E.; Sharpe, A. G. (2000). Inorganic Chemistry (1st ed.). New York: Prentice Hall. ISBN 978-0-582-31080-3. Weast, R. C., ed. (1972). Handbook of Chemistry and Physics (53rd ed.). Cleveland, OH: Chemical Rubber Co.
Wikimedia Commons has media related to Ammonia. "Ammoniac et solutions aqueuses" (in French). Institut National de Recherche et de Sécurité. Archived from the original on 11 December 2010.